Future perspectives for nuclear disarmament and non-proliferation. The immediate future for multilateral nuclear disarmament is difficult to predict. There are only two certainties. The first is that the global security environment will remain a complicating factor for making real progress on nuclear disarmament. The second is that a new review cycle for the nuclear Non-Proliferation Treaty (NPT) will begin in May 2017, building up to 2020 and the 50th anniversary of entry-into-force of the treaty that year. It can confidently be said that of the three pillars of the NPT all parties retain a strong interest in sustaining two of them, the proliferation and peaceful use pillars. However, efforts to agree effective measures for shoring up the shaky third pillar—on nuclear disarmament—are, for the meantime, taking place in a parallel forum, an Open-ended Working Group (OEWG) established by the UN General Assembly. Those efforts are intensifying despite—or perhaps because of—the highly unsettled international security environment. 1. In the NPT review, what will be the attitude of nuclear-weapon states (NWS) to the sharpening focus on the nuclear disarmament pillar of the NPT in the OEWG? 2. And in the immediate future, what will be the outcome of the work of the OEWG when it meets again this August to agree its report and make recommendations to the 71st session of the UN General Assembly? 3. Equally, what will be the outcomes of any initiatives in the General Assembly this October to reconvene the OEWG or any other new group or negotiation that may be set up by UNGA71? 4. For instance, will UNGA71 agree on a new process stemming from one or other of two proposals made during the OEWG’s May for negotiations on a prohibition of nuclear weapons. One proposal was tabled by the entire group of Latin American and Caribbean states (CELAC). The other came from a cross-regional group (including 3 states from this region [i.e., Asia])? 5. Will states that do not support such a negotiation participate in it? The dynamic that might unfold could take this form: there could be pressure from nuclear-weapons states on their allies and friends not to participate. On the other hand, there would be pressure from civil society on non-nuclear weapon states, including those that are allied to NWS, to attend and to press for a prohibition even if the NWS did not participate. In any event, future perspectives are necessarily of a speculative nature at this stage. The latest meeting of the OEWG took place in May 2016. What is the significance of these sessions? ii) in parallel to forums that have proved to be either blocked (Conference on Disarmament) or unproductive (NPT) and which both operate under the consensus rule for the taking of decisions. As well as being able to take decisions by voting, the conduct of the meetings is more informal and flexible than the CD and the NPT. For instance, interactivity – i.e., an actual exchange of views or debate – is strongly encouraged. Civil society participates actively. The chair arranges experts to make presentations in order to stimulate debate. How is the OEWG contributing to nuclear disarmament and non-proliferation? The OEWG is providing a forum in which all states are able to participate alongside intergovernmental organisations and civil society unlike the CD (65 members) and the NPT (which doesn’t include nuclear armed states, the DPRK, India, Israel and Pakistan). What are the limitations and opportunities of these Open Ended Working Group meetings? Limitations have resulted because the nuclear armed states have chosen not to participate, leaving the defence of nuclear weapons possession and the stationing of US nuclear weapons on the territories of some NATO allies to states under the nuclear ‘umbrella’. The opportunity for a direct expression of views from the weapon states themselves is an important missing ingredient. Opportunities stem from the ability for civil society to be heard and to contribute to the debate. 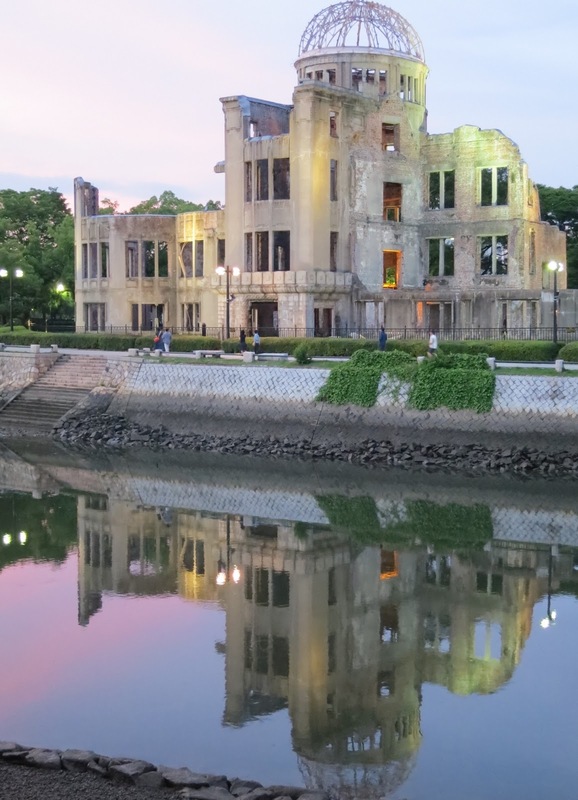 How do milestones such as the visits to Hiroshima by the US President and US Secretary of State affect nuclear disarmament and non-proliferation? Do these visits help promote this issue? The visits have various symbolic impacts, especially President Obama’s as the first serving US President to come to Hiroshima since the dropping of the atomic bomb. The visits affect nuclear disarmament and non-proliferation by their recognition of the unique impacts of a nuclear weapon on civilians (as opposed to conventional bombing), an impact wreaked by a single weapon rather than hundreds of conventional ones, an impact which is indiscriminate and, because of radio-activity, goes on killing people and affecting the health of survivors long after the explosion. It is impossible to imagine that visitors would not be affected by their visit to Hiroshima and Nagasaki, but with the aging of hibakusha (affected survivors) it will be left to all of us to honour their testimony and to press for a nuclear weapon free world. What can be done to achieve a break-through for a world without nuclear weapons? What else could the people of Hiroshima do to promote nuclear disarmament and non-proliferation? A nuclear weapon detonation, especially an exchange of nuclear weapons between enemies, will not respect national boundaries. And the risks of a damaging accident are difficult to calculate but are greater than zero. Therefore, everyone has a stake in nuclear disarmament and non-proliferation. A break-through will require much wider public understanding that the health, safety and security of everyone is at stake. The hibakusha and other people of Hiroshima can continue with their moving efforts to remind us all of the horrific and lasting impacts of a nuclear weapon.